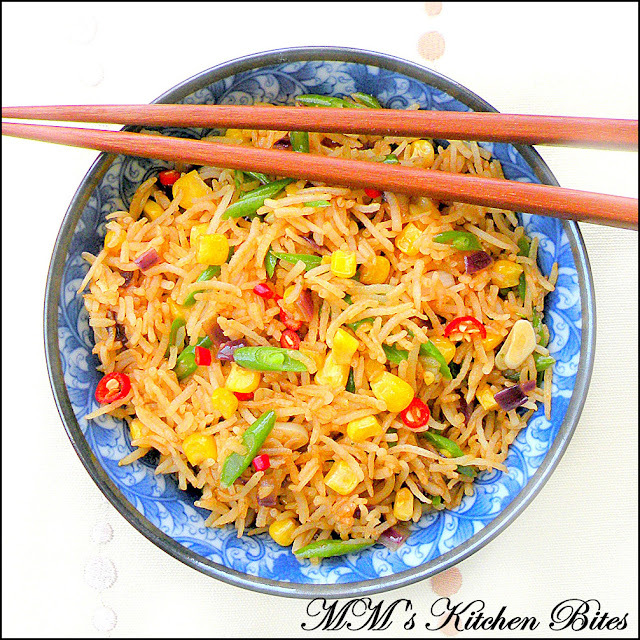 MM's Kitchen Bites: Fried rice- the bouillon/stock cube option..it pays to read labels!! Swirl in the oil and heat till it starts to shimmer. Reduce the heat to medium. 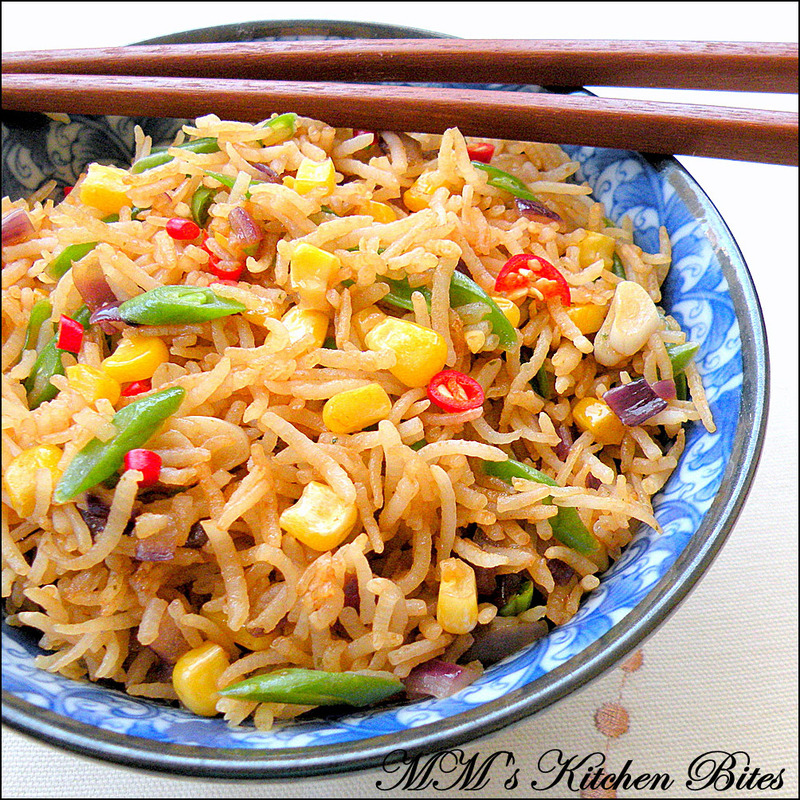 Add in the garlic, chilies and onions and stir fry until fragrant. Add in the crumbled stock cube and stir well. Add in the rice, soy sauce, salt and toss everything well together.